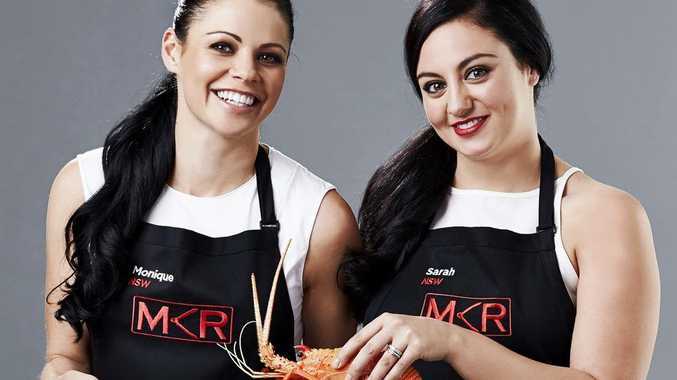 REDEMPTION escaped Sydney cops Monique and Sarah on My Kitchen Rules tonight. The friends hoped to improve on their original instant restaurant score of 68 but ended up earning a lower score for their redemption performance. Despite starting their preparation in a less frantic state, they missed the mark with their pureed pea and ham soup. While it may be a favourite with Monique children, it didn't impress the judges or their fellow teams. 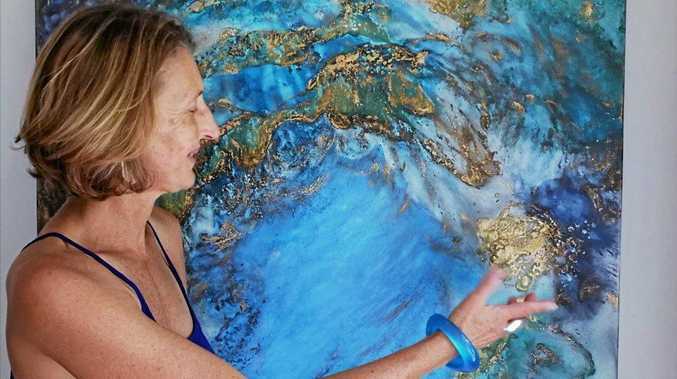 "It didn't wow me that's for sure," Pete Evans said. "I struggled to find any of that beautiful pea flavour in there. "I feel like I'm eating pumpkin soup…it would have been better if you left it that beautiful rustic consistency and texture." The women didn't make things easy for themselves with their main course, having to pick out tiny bones from their stewed rabbit. Monique also lost time having to make a second batch of choux pastry for their dessert. Limited oven space blew out their schedule, and their guests waited more than two hours for a pie in a ramekin with a "hat" of puff pastry. "I thought it was delightful," Evans said. "It was a lovely main course; the rabbit was cooked beautifully. "The salad was well dressed and those fries were abs delicious. "There's little faults in this but not big faults. I really enjoyed it." Buoyed by the positive feedback, the cops pushed to serve up their profiteroles. "Very generous profiterole, beautiful choux, well done on the pastry," Manu Feildel said. "The only criticism that I've got is the custard itself. I think you put far too much thickening agent (in) and you couldn't cook it long enough." Evans said it was one of the best ice creams he'd tasted in the competition, but it wasn't enough to beat Nev and Kell's score of 71. 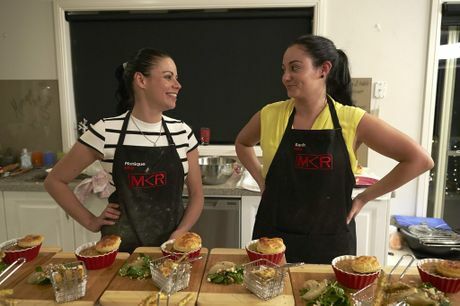 Queensland "stepsies" Hazel and Lisa will host their redemption instant restaurant tomorrow night.